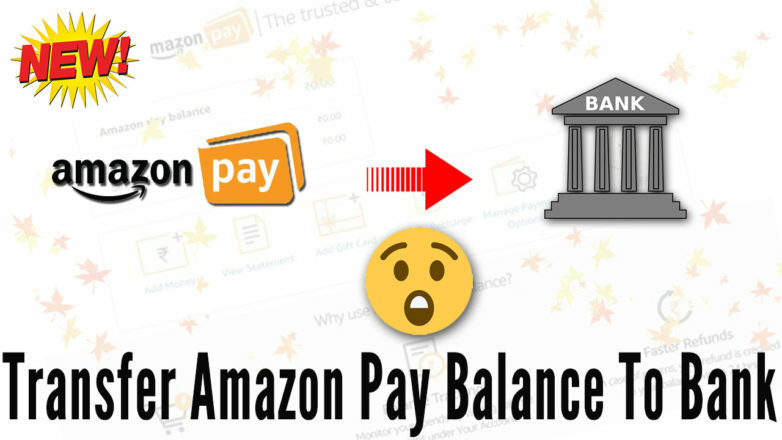 We all know that its impossible to send Amazon Pay Balance directly to our bank account. But we get some cool tricks sometimes that help us to send Amazon Pay Balance to Bank, Today I have a cool trick where you can send also so read the full article and apply carefully. 1. Place Order Any Prime Eligible & Return Policy included Product from Amazon. 2. When Your Order Out for Delivery, You Will Get a link on SMS or Email to pay online before delivery. 4. Paste That Pay Link In Browser In Which You Login Your Amazon Pay Balance Account & Pay for the Order. 6. After you got the product, Simply return and choose a refund to your Bank Account. You have to add your bank details on the Amazon payment page. 7. The refund money will be credited to your bank account between 7 working days. This method only works if your city support ATS Delivery system by Amazon. Only Order products that Prime included and has a return policy. My suggestion that, Please don’t use on your personal Amazon account if you order and return many times Amazon can block your account. Note: Amazone can change their policy and this method will fail at any time. Disclaimer: Do all things at your own responsibility.